I have no words for how much I loved this book! 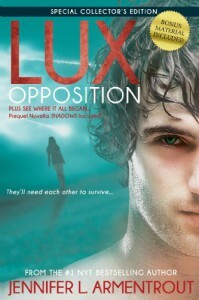 I have been a fan of the Lux series for a while now, so I was both sad to see the series end, and excited for Kat and Daemon to get their happy(ish) ending. They have already went through so much together, so of course the ending wasn't all sunshine and rainbows, but it was pretty dang close!